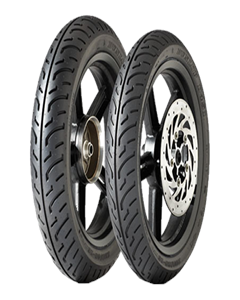 The point of ‘big wheel’ scooters, such as the Honda SH125 and Aprilia Scarabeo 125, is stability. Logically we specifically developed the D451 to further enhance this feature. Its centre grooves provide good handling and excellent wet performance, while the low section profile and stiff carcass ensure good stability when cornering, even when the machine is fully-loaded.